As enterprises move their services into the cloud, their goal is to deliver a seamless user experience – but behind the scenes, network management is becoming extremely complex. 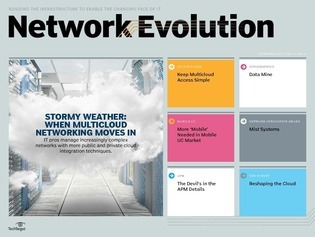 This issue of Network Evolution explores how Adobe strives for simplicity in its hybrid cloud networking among all its services. We talked to Matt McBride, Adobe senior manager of network services, about how Adobe's multicloud strategy has transformed the way they develop both their networks and IT staff.